International Taekwon-Do is proud to welcome two new masters! 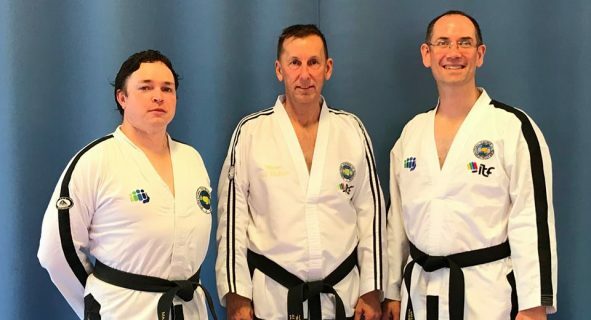 Master Mark Banicevich and Master Matthew Breen successfully tested for 7th dan black belt in Spain, with examiners Grand Master Pablo Tratjenberg and Grand Master Willem Bos. I wanted to congratulate you on the excellent test of Matthew Breen and Mark Banicevich, that GM Bos and I had the opportunity to examine. We were impressed by their knowledge and their preparation, and it is an example that everyone should follow to raise the level of mastery in the world. Photo: Master Matthew Breen (left) and Master Mark Banicevich (right) are pictured with Master Paul McPhail (centre).